In operation for nearly 10 years, Celebration City was an amusement and theme park in Branson, Missouri that is no longer operating – having ceased operations in 2008. 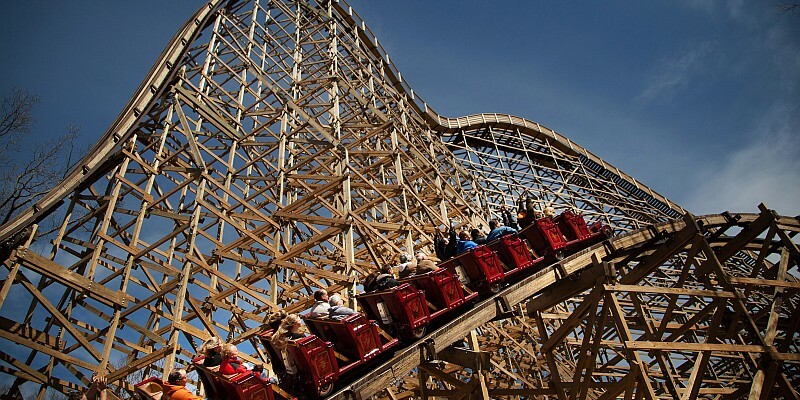 Although Branson’s Celebration City theme park is no longer operating, guests can still visit the area’s most popular amusement park Silver Dollar City for rides, attractions, shopping, and food. What began as Branson USA in 1999, the amusement park underwent several transformations and changes in ownership over nearly a decade of welcoming visitors. Acquired by the Herschend Family Entertainment Corporation (the company behind Silver Dollar City, Showboat Branson Belle, and dozens of other tourists businesses) in 2002, Branson USA underwent an overhaul prior to reopening as Celebration City the following year. The park featured more than two dozen rides and attractions, go carts, shopping, and food all set in an open-air environment. With a different format and setup than that of their other Branson theme parks – the amusement park was set up on a ticketing system where guests would pay individually for each ride. Celebration City became well-known and famous for its nightly fireworks and laser show, that would precede the park’s closing each evening. In 2008, the corporation decided to stop operations at Celebration City – with plans of possibly bringing in a different style of attraction or tourist destination. Currently, the former home of the theme park sits undeveloped with no announced plans of anything to take its place. Passing by, you can still see structures, buildings, and some of the attractions that were once visited by guests.